In a serial act of masochism I’ve tried over the last month to digest the daily froth whipped up by the usual suspects around the issue of Occupy Vancouver. But columnists Jon Ferry (The Province), Mark Hasiuk (Vancouver Courier), Bill Good (CKNW) and the editorial ravings of both Sun and Province have become so predictably reactionary and fear-based that reading them has become something akin to being water-boarded with angry spittle. 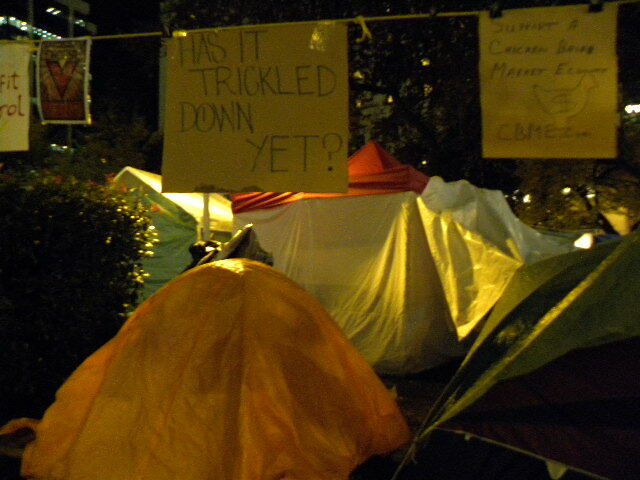 The consensus among almost all is a mean-spirited act of wishful thinking: that the Occupy movement disappear, evaporate back into the realm of invisibility where it no longer interrupts the neat and tidy discourse of mainstream journalism. The Globe’s Gary Mason, on the other hand, has at least tried to take a measured approach. His columns wear the see-through veneer of fairness with a token attempt at empathy and an obligatory effort at writerly description. Below, Tristan Markle of The Mainlander interviews Vision Vancouver’s Geoff Meggs, who is running for re-election to Vancouver City Council. 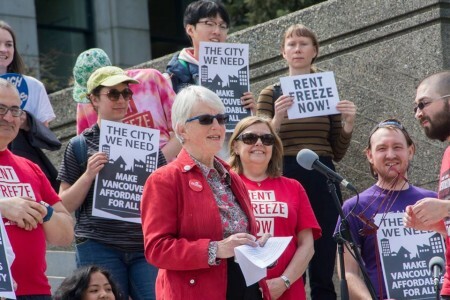 We discuss Vancouver’s unaffordability malady: would Meggs make the correct diagnosis, or propose a sufficient intervention? We discuss other cities with similar disorders, but which have more robust public housing programs: would Meggs help implement those programs here, or take responsibility for the ongoing destruction of public housing? We discuss developer contributions to political parties: is Vision passing the buck on campaign finance reform? Finally, we compare 1983’s Operation Solidarity (in which Meggs was heavily involved) to the Occupy Together movement: is Vision misrepresenting, even vilifying, the new movement? Markle: Why is housing so unaffordable in Vancouver, what’s the main reason? Meggs: I would say there’s some short term key drivers, and some longer term ones. In the short term, the key reason’s been that the economy’s been quite buoyant here, and we’ve had a lot of people moving here, so it’s been driving up demand, and demand has been coupled with a lot of speculation. Because for about about 15 -20 years housing prices have tended to go up. So there’s a speculative element, there’s no doubt about it. But I think in the longer term I think the bigger picture is that land supply is quite constrained here and the ALR [the Agricultural Land Reserve] is part of that, it’s a positive part but it’s a contributor. Markle: When you said that speculation plays a part, what exactly do you mean? Meggs: Well I think many people had an expectation for a long time that if they purchased real estate that they would see gains in their equity that was faster than the rate of inflation. In other words, they could benefit economically by buying real estate more so than buying an RRSP or putting it in a bank account or buying Canadian savings bonds. And for a long time that was true. As a result, there was more pressure on the market than was justified by reality. Markle: Last year prices went up over 20%, still. So how is that happening? Meggs: Well I’m not an expert on all of these things, but I believe that because the BC economy and the Canadian economy have been relatively buffered from the global crisis, and because there are a number of underlying factors that make this a very attractive place to live – you know, say, no civil wars or armed conflicts going on, a pretty solid stable legal system, all of these things that are appealing – a lot of people have been coming here to purchase and to some degree to speculate. So we’ve continued to see higher prices than almost anywhere else in North America, certainly in stark contrast to the United States, for sure. That seems to be related to our place in the global economy. Markle: We hear a lot about people from other countries buying property here on the one hand, but research doesn’t make it so clear that the majority of capital invested in new condos, for example, is necessarily coming from people from elsewhere, at all. You’ve covered some of the research that shows that it’s not so simple as that. Meggs: I don’t think it’s useful to pursue that line of inquiry at all personally, and potentially dangerous, because it’s a classic deflection in BC politics to blame our problems on outsiders. The reality is that if there are purchases by offshore investors at the high end of the market, it’s not having and impact on anybody that I’m worried about at all. The real problem is at the mid-range. Markle: Depending on what type of housing you’re looking at, whether it’s stand-alone homes or condos, the median price is way out of proportion to median income. High end properties won’t affect that median much at all. So when Bob Rennie did a study recently which said that all the talk about housing being unaffordable is skewed by the high end, he missed the point. The most simple measures of housing affordability – median income versus median price – are not affected by high end. So what is it then that’s driving up the prices, if it’s for the large part not money flowing in necessarily from elsewhere, not necessarily for high end luxury properties, so what is it? Vancouver’s two developer-funded parties, the NPA and Vision, are identical on core policy issues. Both put developers before people, and hold their breath for the market to solve our affordability and homelessness crisis. With an election on the horizon, the NPA is desperately attempting to distinguish themselves from their Vision doppelganger. In the absence of substantive differences, much is made of minor sideshows, especially environmental ones. The NPA first opposed backyard chickens, then eschewed downtown bike lanes, and recently denounced the Greenest City Neighbourhood Grants program. But now the riot has given the NPA a new way to frame its opposition to these environmental sideshows. 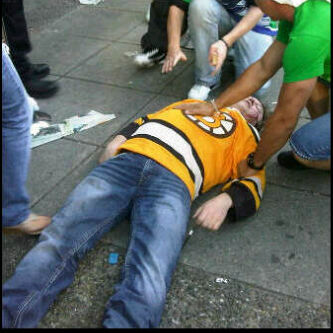 The NPA team is arguing that the mayor was too distracted by environmental concerns to pre-empt the Stanley Cup riot. But it is the NPA who is directing the sideshow, and it is the public who is distracted. Even with respect to the riot there is little meaningful difference between the NPA and Vision. Despite criticizing the Mayor for inviting masses of people into a confined area downtown, it was an NPA candidate who proposed the idea. He even claimed that opening up BC place stadium could be paid for through food and alcohol sales. At bottom, the NPA’s claim is that it would have implemented a different crowd management strategy involving more aggressive policing. Looking to history, we saw the results of such an approach in 1994 when riots exploded under the nose of NPA Mayor Phillip Owen: police over-reaction led to more cracked heads than windows. 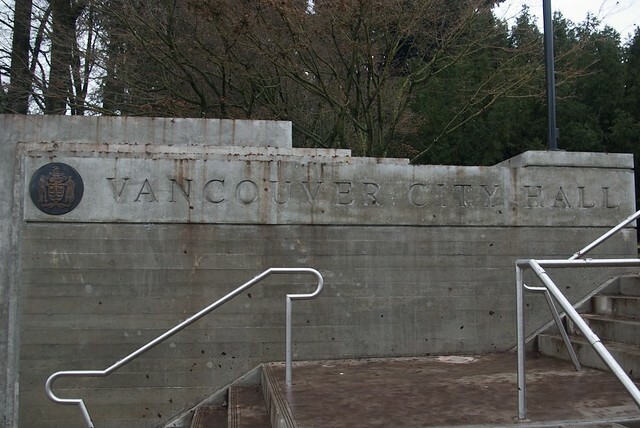 The Mainlander’s Tristan Markle debated CityCaucus’ Daniel Fontaine from 9am-10am on CKNW’s The Bill Good Show, AM980, Tues June 28.
decisions by COPE and the civic Greens on whether to run joint slates with Vision Vancouver. To listen, click here and go to ‘Bill Good Show – Tues June 28 – Hour 1’. The Mainlander vs. CityCaucus debate will continue next Tues July 5th on The BIll Good Show, AM980, 9am-10am. Vancouver historian Michael Barnholden has written that there are at least two recurring themes in Vancouver’s political discourse. The first is a theme of revision, where low-income and working-class lives and stories are erased from the history of the city. The second is a history of criminalization, where the poor are associated in the political imagination with crime and police control. A truly contemporary example of the use of these two motifs occurred today in a Globe and Mail article on the conversion and upscaling of the American Hotel. 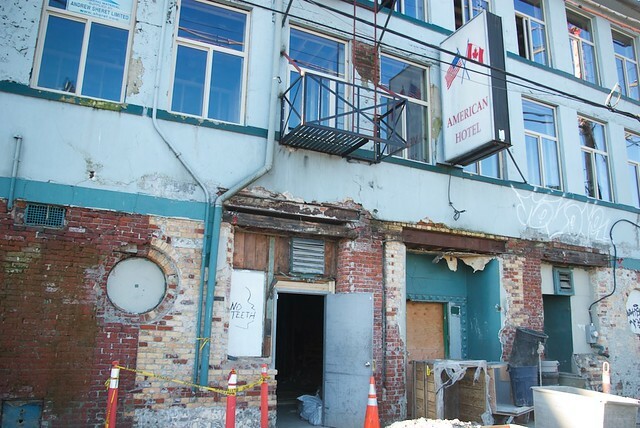 In the coming weeks, the American is set to open with almost 50 market-rate apartment units and an entrepreneurial “izakaya-themed” bar below. The project at 938 Main Street will establish the building as part of trendy developments extending the “Crosstown” area beyond Chinatown South. The Globe piece, written by Frances Bula, sets out in journalism’s formulaic terms to booster the development. Most notably, the article gives a vivid documentation of the history of petty crime and drug trafficking at the American hotel, and it is in light of this dark past that a bright, “revitalized” future is posed for the American. Yet in all of its emphasis on crime, Frances Bula fails to mention the biggest crime of all: the illegal eviction of all low-income tenants from the hotel in 2006. In contrast to the “grunge” of the city, Bula chooses to write exclusively for the quasi-artistic retail bourgeoisie, making it “hard to mourn the American Hotel and its bar that died in 2006, unless you were into super-cheap blocks of stolen cheese, cocaine, motorcycle gangs, grunge or all of the above.” The list excludes the low-income history while at the same time making it so that if the history were to be included, it would have to do so only by being inserted into a predetermined list of crimes. But for a moment let us remember – mourn – the true history of the American Hotel.